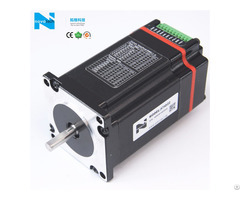 Our driver represents the highest level in domestic, with 32-bit DSP technology, parameter auto adjustment function, automatically optimize operating parameters for different motors to maximize motor performance. 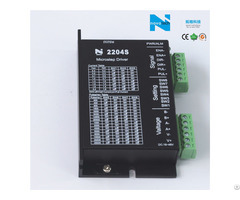 Our patent technology-stepper driver system, better solved problems like low-speed crawling, oscillation area, noisy, high-speed with small torque, low starting frequency and poor driver reliability of traditional motor.The driver’s operating results can be comparable with some imported products. 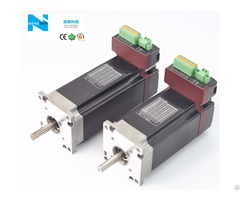 Please tell us your stepper motor's model, we will choose the suitable drive according to motor's model. Novotech driver used in marking machine, cutting machine, laser phototypesetting, plotter, transmission power lines, automatic assembly and other equipments. 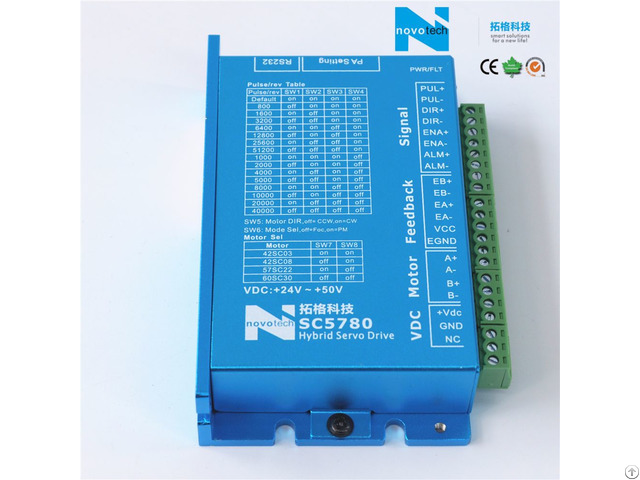 It suitable for a lot of small and medium-sized automation equipments and instruments, has outstanding performance in the equipments that users expect small noise and high-speed.